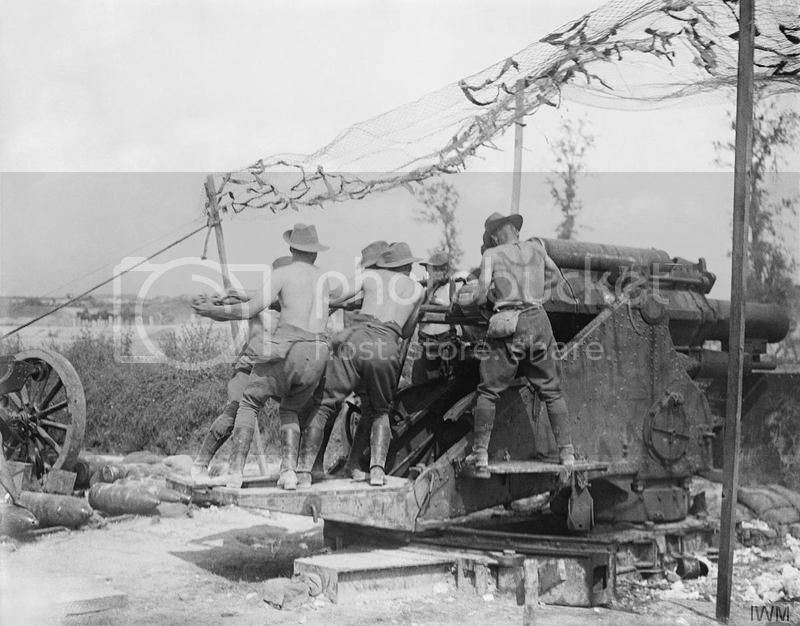 Resicast have continued to add to their excellent range of World War I Artillery pieces with the addition of the British 9.2 inch Howitzer. 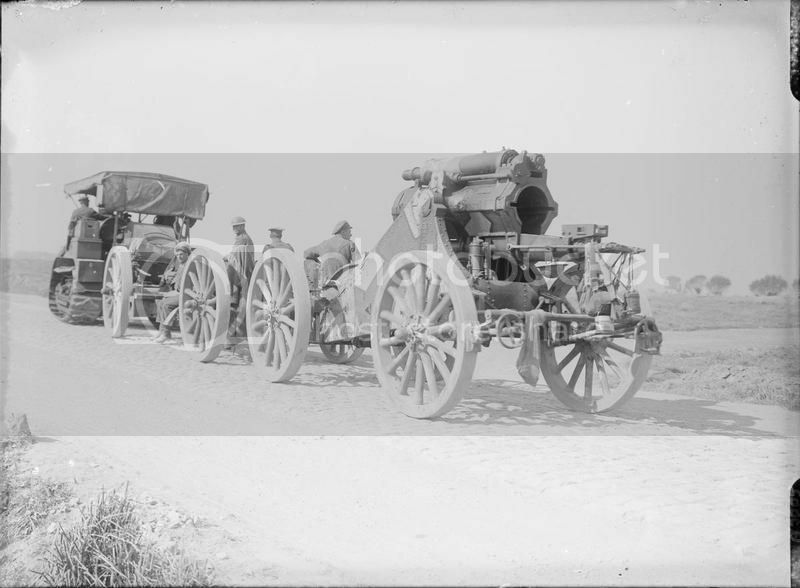 First introduced in to service with the British Army in October 1914 the BL Mk I first saw service with 8th Siege Battery, Royal Garrison Artillery at La Couture and was later in action at Nieppe and Warneton. 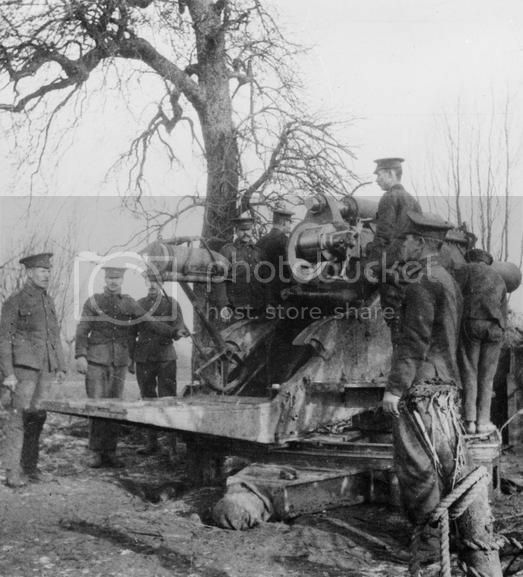 From February to July 1915 the howitzer was manned by the 10th Siege Battery, taking part in the battles of Neuve Chapelle and Festubert. The Mk I fired a 290 Ib shell up to a maximum range of 10,000 yards. 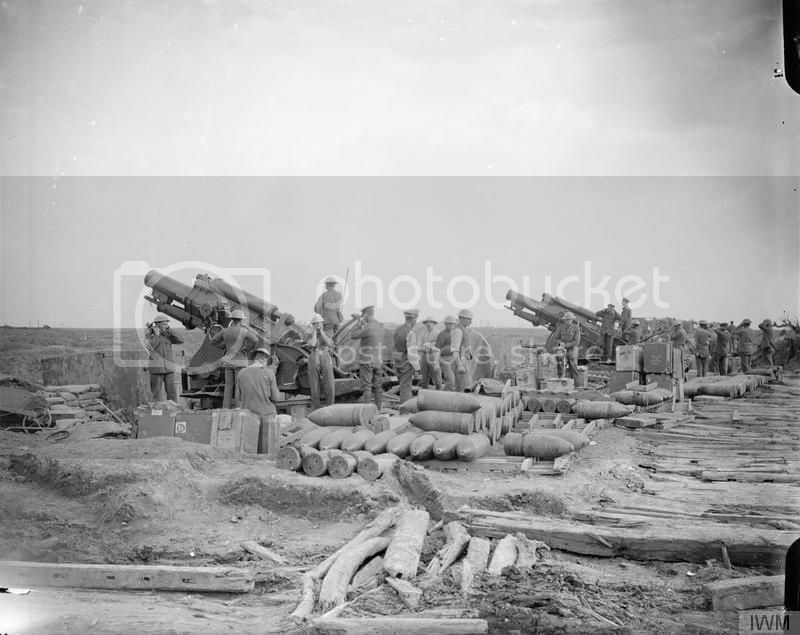 By the end of the war approximately 450 howitzers (9.2 inch) had been supplied to the British and Commonwealth Forces. The kit was mastered by George Moore and contains over 100 resin parts, 15 photo etched parts and includes the gun and a base with counter weight to mount it on. The kit comes packed in the standard Resicast stout cardboard box. The cover shows a painted completed picture of the model (painting by Christophe Nachtergael). Inside the box is a 20 page set of A5 instructions with the parts clearly displayed in picture format and number marked. The base and counter weight make for a model in themselves as they would be dug in, in pre-prepared positions prior to the arrival of the guns. The parts for the gun are contained in 12 zip plastic bags with the main bed and one part of the barrel parts sitting as separate items. The instructions contain a listing and identification of the parts of the weapon which is always very useful. A small quality of ammunition is also provided in one of the zip bags. The parts are cast in a light grey resin and are of exceptional quality and detail. Working with resin requires a little more time and patience but builders should have an excellent example of this iconic piece of history when the job is done. There will be the normal pour stubs to remove and a little flash from the main bed, but clean up should be minimal. I’ve always been bowled over at the detail achieved in the Resicast kits and this one is no exception from the raised plated detail and transverse teeth on the main bed to the shape and moulding of the gun cradle and fluted barrel everything looks nice and sharp. Although the bulk of the kit items are quite large, there are a number of quite small parts to cope with so make sure not to lose them in the wash or to the carpet monster. 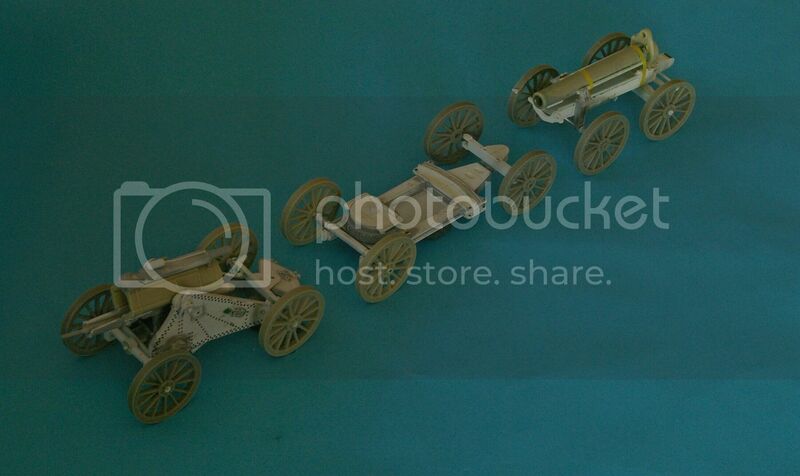 8 shells are provided with the gun, 4 with fuses and 4 without fuses. Also in the kit is a small fret of PE to add some extra detail and some plastic rod to use where indicated in the instructions. Normal safety precautions apply when working with resin and you’ll need a good razor saw to deal with the pour plugs. I take my hat off to both George Moore and Resicast for yet another terrific kit. As either a standalone build or incorporated into a larger scene this will make for an impressive display. It’s great to see a number of manufacturers taking an interest in producing new 1/35 scale WW1 items and Resicast have added yet another unique item to their product list. The Howitzer could be broken down in to three separate loads to be towed by 12 horses or a mechanical vehicle such as the Holt Tractor, and whilst this kit is designed specifically for display in the firing position when I was visiting Duxford on the 21st June 2015 I was able to view the follow up release of the towed option, so more good things to come. A really impressive kit with lots of build and finish possibilities. A build blog will follow in the future which will identify any build issues. 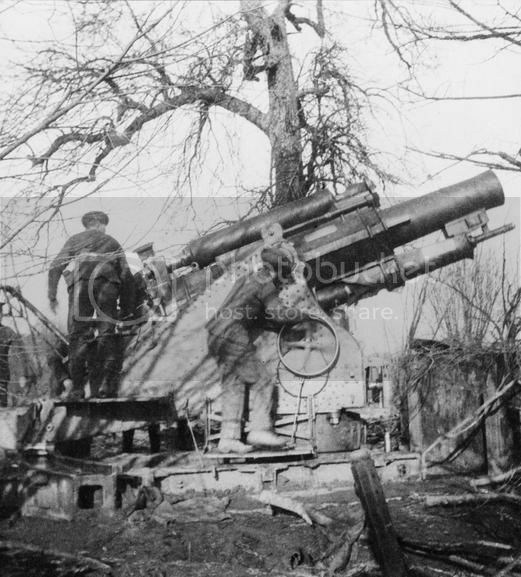 I’m very impressed with what is in the box and really pleased that another iconic and important First World War piece of artillery history has become available to modellers. Not a kit for beginners but should be doable by anyone else with good basic skill. Highs: Excellent detail and casting of parts. Thanks, Al, for the review. 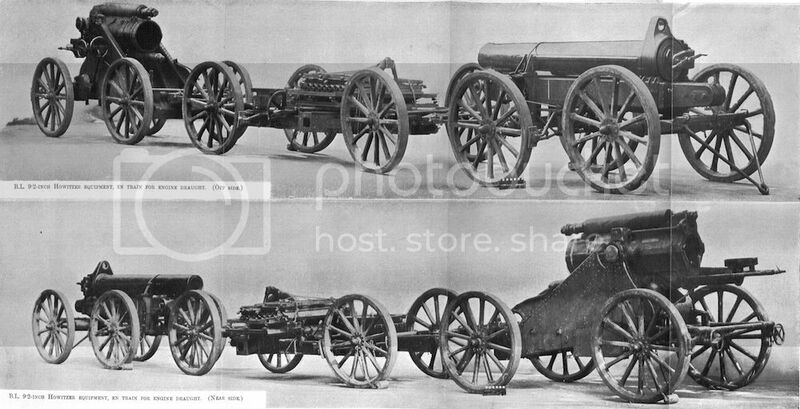 Resiicast's products are always well thought-out, and there can be no doubt we need more Great War big guns. That's good news. Nothing is more iconic for the war than films of these monsters spewing their death and destruction. The older I have gotten, the more admiration I have for the lads on both sides who suffered these artillery bombardments. When I toured Ft. Douamont outside Verdun, it was easy to believe men went mad inside during the shelling. Thanks, Al, those are splendid photos.